Any Homeland fans out there? Hello? I sure hope I have company because I am a rabid fan of this series. I love the production, the actors, the script, the pacing and the incredible research that goes into this extremely popular series. If you haven’t yet watched any season of Homeland, I can definitely say that you will be in for one wild ride once you begin this cinematic journey. 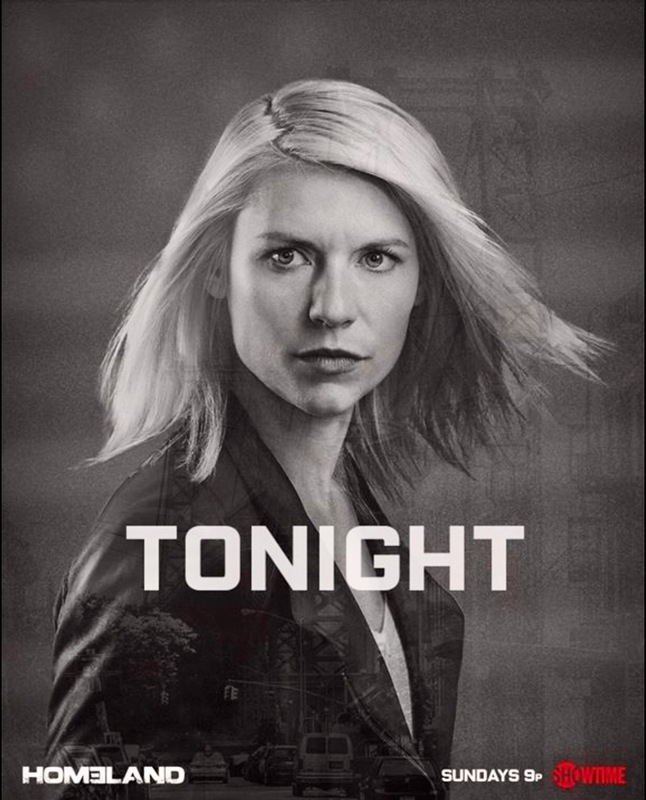 Claire Danes (Carrie Mathison) is epic in this show and her intense professional and personal relationships with Mandy Patinkin and Rupert Friend’s characters, Saul Berenson and Peter Quinn respectively, will leave you breathless. It is acting at its finest and most refined. For newbie Homelanders, I suggest that you watch what I feel was their best season – Season 4. It stands alone and, apart from a couple of fleeting scenes, never references anything which unfolded during Seasons, 1, 2 and 3. Each season is excellent but Season 4 pretty much blew my mind. This is a show that has equipped itself with the finest collection of cast and crew. And this season, the series will be based in New York City and will reference the political drama which has unfolded in real life over the past 18 months. Oh dear. Can we stand more drama from the political arena? I guess we shall find out, huh? One thing is certain – Homeland always gives you a glimpse into the inner workings of the conflicts which have emerged in our world. How decisions are made and which games are played to achieve the desired result. It is fascinating beyond belief and makes me realize how little we know and understand about the complexities of this world. Tune in tonight at 9:05 PM on Showtime. And leave you comments at the bottom of this topic. You are always welcome. President Barack Obama Gives Vice-President Joe Biden A Surpising Farewell Gift.